Love my plants, got them at a good price. It is tiny .nothing like the fullness of the picture. Ferns make the best shade plants! I had an area that I knew I couldnt get anything to grow until I planted a fern and now it looks great with color! 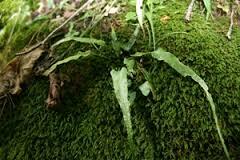 Walking Fern is a North American native plant that is frequently found. It is a small fern and has full leaves that sometimes curve back making it a distinctively visible plant. The roots do not spread to build new plants. 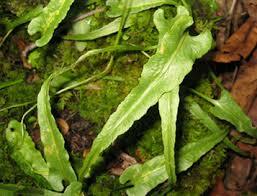 This plant is a hybrid parent of the plant known as the Lobed Spleenwort. 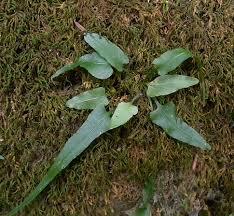 This fern will always be found in a moss bed. Walking Fern is terrific and is unique as it grows. It is unlike any of the other varieties of ferns. As it becomes, it covers several inches and appears that the fronds on it are walking as it spreads out. These also supply beautiful color all throughout the year and look amazing when added to gardens and other areas. They grow well among large rocky areas and also when added to rock gardens that have been created by a homeowner. This fern can even tolerate the right amount of sunlight as it grows and matures. They are very easy to grow and look amazing as it grows among other flowering plants in a garden area. Walking Ferns provide a lot of colors as they grow and mature. The leaves of a Walking Fern are evergreen. They are not compound and grow to reach a length of 2 to 14 inches. The plant can have both long and short leaves. Short leaves will bear a round shape at the tip while long leaves will have an excellent point. A network of veins covers the surface of the leaves which are hairy on the lower side. Stems of the plant are green at the top, while at the bottom they have scales and are dark. The lush leaves of the plant are more significant compared to the sterile ones. The plant produces spores. The sori are on the underside of the leaves and are linear. They are located at the juncture of the veins.